Up to fifteen men died in Halhul, mostly elderly Palestinians (the youngest victim was thirty-five, the oldest seventy-five) who died after being left out in the sun for several days in a caged enclosure with insufficient water. 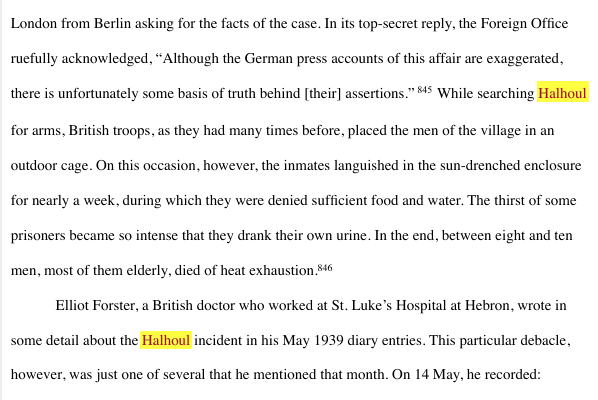 Halhul villagers also claim that soldiers shot a local man at a well during the same operation—in fact, it seems that soldiers beat the victim and then left him to drown in the well. Jews were also victims of British acts of illicit/extralegal violence. On one occasion, 5 Jewish civilians, walking on sidewalks, were shot dead in an indiscrimate act of reprisal. And if you go here, and if you use Google Translate, you can find out that a good few people are really angry that the Palestinian Authority's Minister for Waqf Affairs, Mahmoud Dabash, was attacked, yelled at and pushed into hiding for his safety on Friday night while visiting the Temple Mount.. 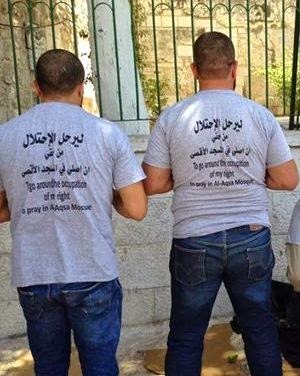 This, all the while "settlers are storming Al-Aqsa". Anybody aware up there in government circles? Since most of those Arabs that found themselves not in their homes as a result of an aggressive war launched by the Arabs of Mandate Palestine which intended to eradicate the Jews there and prevent a UN decision to establish a Jewish state were actually still in the territory of the former Palestine Mandate, they were less refugees than internally displaced persons. the ‘present absentees’ and ‘internal infiltrators’: Palestinians who never left Palestine but who had left their villages temporarily to stay in another part of Palestine. 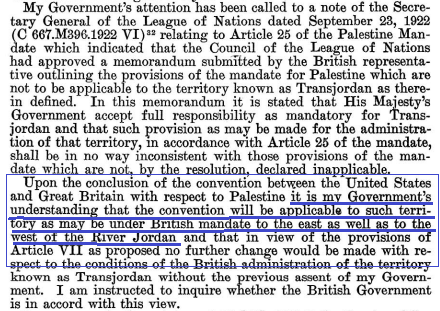 Judea and Samaria and even Transjordan are parts of the Palestine Mandate. And let us not forget the several Jewish refugees that were cared for by UNRWA until 1952. Arab Jews who were being absorbed into the new country at the same time were not called refugees either. They came through maabarot (transits), as though by reaching Israel they were passing through the gates of heaven; in Hebrew they were said to be ‘making aliya’, ‘ascending’. Nor were they seen as mere ‘immigrants’: they were returning home after two thousand years of longing. They just switch things around. That's in Article 7, even in the 1968 version. ...does not exercise any regional sovereignty over the West Bank in the Hashemite Kingdom of Jordan, in the Gaza Strip or the Himmah area. That is crucial for understanding the whole mirage of Palestinianism. - It was the non-violent uprising of 1987, waged inside the Occupied Territories, that forced Israel to the negotiating table. - Israeli laws were imported into the Occupied Territories and applied exclusively to the settlers. There had to be separate and unequal development – apartheid – if the Jewish settlements were to flourish. - After 47 years of Israeli rule Jerusalem is organised, run and designed for the sole benefit of Israeli residents, particularly settlers in and around Arab East Jerusalem, with a shrinking ghetto assigned to disenfranchised Palestinian residents. - The wish to entrench its virtual acquisition of a state sometimes manifests itself in physical terms: for example, the construction in Ramallah of a million-dollar presidential palace for visiting dignitaries who come to pay homage to the putative head of a state yet to be born. - What can be done to end this conflict? I would argue for a two-pronged approach. Israel must be made to realise that the failure to apply international law will not last for ever and that occupation will begin to exact an economic price; but it also needs to see the benefits it can derive from making peace. In 1993...before the Oslo deal was signed, young Palestinians were saying that they would fight Israel to the last day of their lives. But once the deal was signed and began to offer a glimmer of hope the tone changed. You heard them say: Yikhribbeit el hjar, ‘to hell with stone-throwing’. Reminded of their earlier position they said in their defence that they wanted a better future and a chance to live in peace with the Israelis. 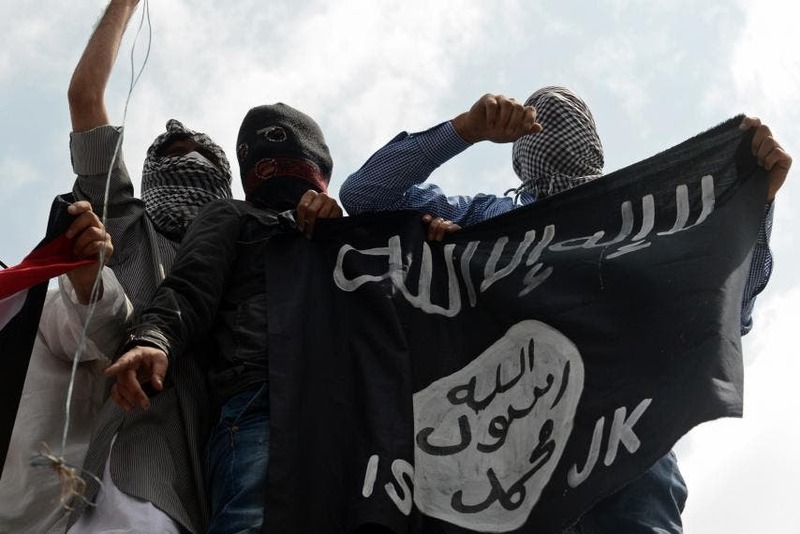 Prominent among those who went through this transformation and put their faith in the peace process was the Fatah leader, Marwan Barghouti, in his early thirties at the time, who is now serving several life sentences for allegedly leading attacks against Israel. "Alleged"? In open court, after he was arrested by Israel Defense Forces in 2002 in Ramallah, he was tried and convicted on charges of murder, stemming from attacks carried out by the al-Aqsa Martyrs' Brigades, and sentenced to five life sentences. Marwan Barghouti refused to present a defense to the charges brought against him, maintaining throughout that the trial was illegal and illegitimate. Can You Find Any Israeli Residents in These Programs? During a June 23 visit to Tulkarem, American Consul General Michael Ratney met with Governor Dr. Abdullah Kmeil and Mayor Iyad Jallad, toured the local muqata’a, and visited the al-Mentar museum and a USAID-funded strawberry farm. With a grant provided by the U.S. Consulate General in Jerusalem, more than 60 young Palestinians studying journalism and communications at universities in Ramallah, Hebron, Jerusalem and Nablus received intensive training on environmental awareness and outreach conducted by the Palestinian Center for Environment (CEP). the graduation of 100 Palestinian teacher trainees after taking a 4-days training with Dr. Leslie Opp-Beckman. The top 12 were selected to take the Professional Certificate in English Language Teaching. There are independent initiatives for peace education. There are others. And more. These seem to mix things up but I am not that sure that Arabs from the Pal. Authroity participate with Jews who reside nearvy to them, and doubt it. Peace will not be achieved if one side doesn't know there is another side. Can We Expect More Forward Balance? A clear majority of Palestinians in the West Bank and the Gaza Strip oppose a two-state solution to end their struggle with Israel, according to a poll released o Wednesday. The survey, conducted throughout the Palestinian territories, was commissioned by the Washington Institute for Near East Policy and was conducted by a leading Palestinian pollster from June 15 to June 17. The Washington Institute characterized the poll’s results as a sudden, hardline shift within the Palestinian community. It also presented the pragmatism revealed in the minutia of the survey: 80% of Palestinians would “definitely” or “probably” be in favor of greater job opportunities in Israel, and 70% of Gazans strongly favor Hamas maintaining its cease-fire with the IDF – despite generally favoring resistance. Can I expect that now The Forward, for every critical article on the Yesha communities, that one of we writers could respond? 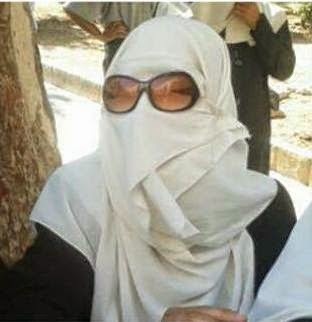 One of the "Wicked Witches of the Waqf", the female Islamists who scream and shout and push and attempt to creat provocations that will, they hope, lead to violence, so that Jews can be barred from visiting the Temple Mount. 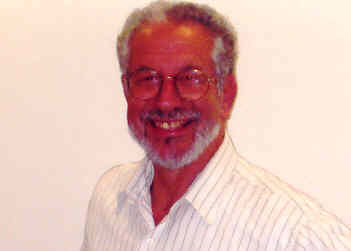 I can therefore only foresee a worsening climate – not a one-time disaster (say, an avalanche following the killing of a Jew while performing a prayer in the Noble Sanctuary, on what Israelis call the Temple Mount in Jerusalem) that can once and for all be put behind, by whichever side, but an increasingly ugly living climate in which only those who can acclimatize and be ugly themselves can survive. And we onced shared a shaver while preparing for a debate on Channel One TV some 30 years ago. By the way, why should a Jew be killed for praying? Are all Muslims fanatic and intolerant? Are all "Palestinians" deniers of Jewish history and the Jewish connection to the Temple Mount? Abductions in Palestine: The disappearance of three Israeli boys believed to have been kidnapped while they were hitchhiking in the West Bank has garnered international attention. In the winter of 1944-45, several Jews were kidnapped in British Mandate Palestine. In one incident the kidnappers disguised themselves as British policemen. 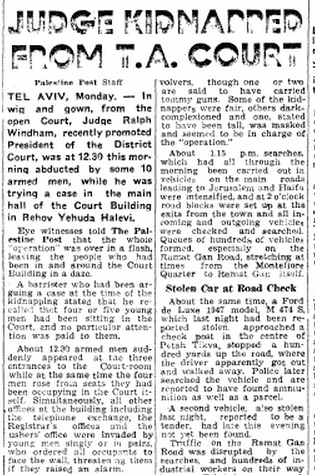 After three kidnappings took place in two days in late January 1945 -- one “in broad daylight on a busy Jerusalem street” -- JTA calculated that about a dozen people had been “abducted within recent weeks” in Palestine. Three more kidnappings took place in Palestine during the past two days bringing to about a dozen the number of persons abducted within recent weeks. An unknown man was seized in broad daylight on a busy Jerusalem street today, while a taxi-driver, Jacob Roth, was kidnapped in Nathanya yesterday and a young member of the Betar football team, Meir Samuelov, was abducted yesterday in Petach Tikvah. That, of course, is referring to incidents of the infamous "Saison" operation of the Palmah and Hagana against mainly the Irgun dissidents. 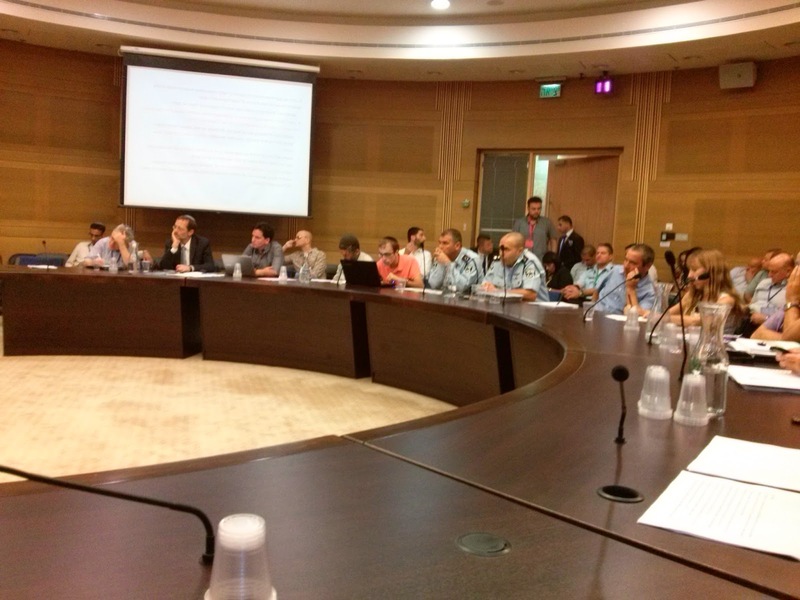 Some were beaten and tortured by the representatives of the "official Yishuv" institutions, others were interrogated and incarcerated and others handed over to the British CID. Some where kicked out of schools. The official Palmach site isn't working. So go to Yehuda Lapidot's site on the matter. 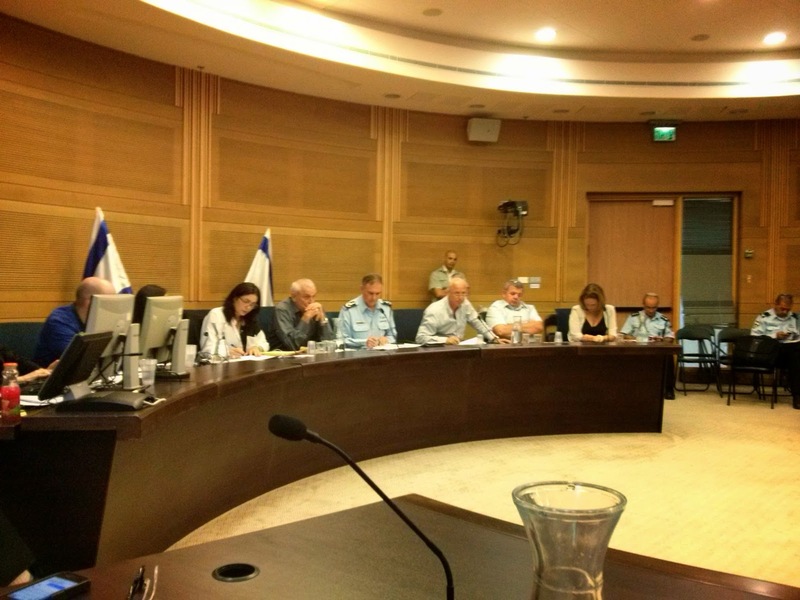 In any case, three young teenagers are not soldiers nor official Israel state representatives. It seems that a Norwegian state-owned pension fund has, yes, invested in an Israeli supermarket chain active in the "occupied West Bank", aka Judea and Samaria, Rami Levy Chain Stores (caveat, my wife is an employee at its Yafiz branch at Sha'ar Binyamin). how it could justify the investment when it issued a policy statement in 2013 acknowledging that Israel’s settlements violate international law. “It does not exclude other activities,” he said. Adri (Jewish? Israeli?) thinks that there is "an onus on Norway to shun the company". Why? 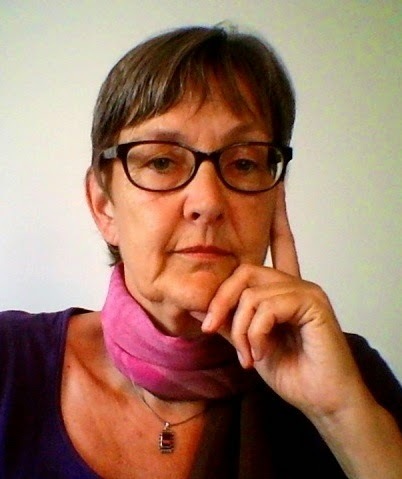 She quotes one Karin Arts, a professor of international law and development with the International Institute of Social Studies in The Hague, who thinks that the 2004 ICC ruling contains "an obligation related directly to assisting the wall" which then "could be interpreted as requiring governments to divest from companies benefiting from the wider occupation'. Arts firmly insists that "Investments [in Israeli banks and companies doing business in the occupied territories] violate laws". To her, what must be upmost is to prevent the "rewarding the profiteers of occupation". I presume benefitting local Arabs is to be preventing too. Committee Chair, MK Miri Regev, who raises her voice just a bit too much and could assist the deliberations by shortening her interjections, has been doing wonderful work in highlighting the issues of weak police responses to Islamist violence, physical and verbal. I did not get a chance to offer an opinion - Yehudah Glick did - but I would have asked if they want to maintain the status quo and are so intent upon defending their approach, then why have they permitted a new custom of study groups to plant themselves along the route the Jews take to walk around the Mount compound? Why do they allow taunting chants? The approaching up close by Muslims to terrify and interfere with Jews exercising their right of access (we are not referring to prayer which is prohibited)? This is an infraction of the status quo but the police ignore it and no one pressed them on it. for over 25 years, from the time we walked the Knesset halls together, he with Shinnui, me with Techiyah. His book, Israel and the Family of Nations: The Jewish Nation-State and Human Rights, written with Amnon Rubinstein is superb. If Jews were the conquered ones...There would be no occupation, because there would no longer be two peoples in this land. Haaretz columnist Sayed Kashua asks Israeli Jews to imagine a situation in which they were the weak and conquered party...Kashua apparently believes that Israeli Jews’ apathy to Palestinian suffering stems from the fact that they never ask themselves what would happen if the roles were reversed. But I think just the opposite is true: This apathy is to a great extent the result of dwelling on this question too much. Because the answer the Jewish public gives itself when it imagines a military defeat and Arab conquest is that in such a case there will no longer be two peoples in this land. ...And when an Israeli Jew today ponders the internal disputes raging in the surrounding Arab world – and face it, there is no Israeli citizen, Jew or Arab, who doesn’t do this – there is no reason for him to be optimistic....when a Jewish Israeli remembers what the Hamas takeover of Gaza looked like – even though in regional terms it was exemplary in its moderation – there’s no reason for optimism, either. Of course, I dispute that conclusion but for sure there will still be Arabs residing there. Unlike what the Arabs have planned for us. And we are not either Shunni nor Shi'a. BETHLEHEM (Ma'an) -- A 15-year-old was killed and at least five others seriously injured when a blast hit a vehicle traveling in the Israeli-occupied Golan Heights on Sunday morning. The blast, which marks the first time an Israeli has been killed in the Golan Heights since the outbreak of the Syrian revolution and civil war more than three years ago, occurred near the Israeli settlement of Tel Hazeka near the ceasefire line with Syria. BETHLEHEM (Ma'an) -- A teenage Israeli settler was killed and at least five others seriously injured when a blast hit a vehicle traveling in the Israeli-occupied Golan Heights on Sunday morning. The blast hit a vehicle belonging to a "civilian" employed by the Israeli army to reinforce the border fence, according to Israeli news site Ynet. If you missed it, the term "settler" is now missing as is the reference to a "civilian" (as if the victim was really a soldier in disguise. A 13-year-old boy [from Arabeh]...The explosion hit a car belonging to a Defense Ministry employee contracted to reinforce the border fence in the area, killing his son who was in the car at the time. The worker sustained serious wounds, and three other civilians were also hurt. Being Arab changes everything except for the fact that Syrian-based terrorists killed a minor. Do you sense something deja vu in reading this? Q. ...when you announced that the peace process, the talks, would be ongoing, Hamas came out and said they pledged more violence. 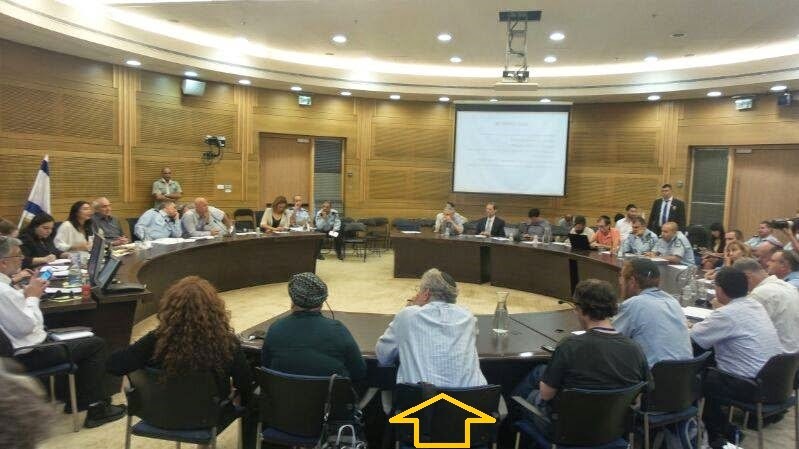 Based on your meetings...do you think he is capable or willing to stop the violence coming from Hamas? A. 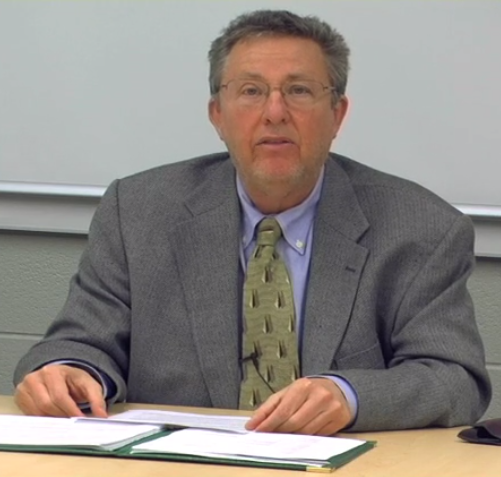 ...I think what he has to do is exert 100 percent effort to try to stop the violence. It's very hard to guarantee 100 percent results, but we expect 100 percent effort. I have say that, since I was there, we have seen some steps forward in his work to try to limit terrorism and work at the infrastructure of Hamas. There have been some positive steps. Those have been recognized by Israel. Q. Yet recently, at a unity rally, he was seen embracing the leader of Hamas. How can, on one hand, he say he's looking for serious peace and, on the other hand, embrace the leader of the organization that has vowed to end the peace process. A. Well, that was then, and I spoke to him about that. I think, since that time, he has taken some steps. He has to take more steps, because it's very hard to expect anybody to exist -- the Israelis, for instance -- to live under the threat of terrorism. Something has to be done in order to stop the violence, and we have pressed...to do that. You should. It's not from yesterday. MR. LAUER: As you know, when you announced that the peace process, the talks, would be ongoing, Hamas came out and said they pledged more violence. Based on your meetings with Yasser Arafat, do you think he is capable or willing to stop the violence coming from Hamas? SECRETARY ALBRIGHT: I think what he has to do is exert 100 percent effort to try to stop the violence. It's very hard to guarantee 100 percent results, but we expect 100 percent effort. I have say that, since I was there, we have seen some steps forward in his work to try to limit terrorism and work at the infrastructure of Hamas. There have been some positive steps. Those have been recognized by Israel. of Hamas. How can, on one hand, he say he's looking for serious peace and, on the other hand, embrace the leader of the organization that has vowed to end the peace process. SECRETARY ALBRIGHT: Well, that was then, and I spoke to him about that. I think, since that time, he has taken some steps. He has to take more steps, because it's very hard to expect anybody to exist -- the Israelis, for instance -- to live under the threat of terrorism. Something has to be done in order to stop the violence, and we have pressed Arafat to do that. Can someone remind them that a Hamas-Fatah Unity government was tried --- and failed? Only Israel is permitted. Only Israel is permitted to carry out illegal, immoral operations. Only it is permitted to be sanctimonious, to be shocked and to shout from the rooftops when others do the same thing to Israel. Only Israel is permitted to take hostages. Unfortunately, Gideon Levy is not the only Jew who bashes Israel. Unfortunately, Gideon Levy is not the only Jew who hates other Jews for being Zionists. Unfortunately, Gideon Levy is not the only Jew who maligns patriotic and pioneering Jews who are fulfilling the most basic of Zionist values. Unfortunately, Gideon Levy is not the only Jew who loves Israel's enemies so much that he will twist, misrepresent and misconstrue. And lie, too. Dear readers, you are welcome to add your thoughts in the comments sections. The hunt continues for the missing Israeli teenagers. The roundup of Palestinians also continues. More than 150 Palestinians have already been taken by Israel’s military. Have they, too, been kidnapped? Interesting that the Israelis taken were on their way back from settlements where they study at yeshivas. I haven’t had a chance to look at the various course catalogs but I assume the yeshivas don’t specialize in interfaith dialogue. I doubt these yeshivas have majors in the Abrahamic faith traditions or cutting-edge programs in interfaith relations. Yeshivas in the West Bank aren’t into Martin Buber. The religion of the occupiers is always an imperialist one. Can it be any different for Judaism when its practitioners occupy another people? The West Bank, and especially Hebron, is once again cordoned off and invaded by the Israeli military. In the situation of occupation, Jews traveling into and out of the West Bank are committing political acts. This doesn’t mean that kidnapping is the civilized way of registering grievances. However, since the war against Palestinians is so devastating and ongoing, the weapons used by the weak cannot be dictated by the powerful. Like suicide bombing, kidnapping is the weapon of the weak. One doesn’t have to condone such actions to understand this reality. Israel isn’t a civilized occupier. In the way it acts toward Palestinians, Israel isn’t civilized at all. Israel kidnaps Palestinians on a regular basis – including Palestinian government officials. For Israel, it is exercising a self-evident right. To dominate another people? Sometimes you need to know so that you can remind yourself why you are what you are --- and why you aren't like him. ‘Far from purely academic exercises, [such brave intellectual forays as these] are practical and political interventions, responding to the singular demands of justice’ [emphasis added; xii]. 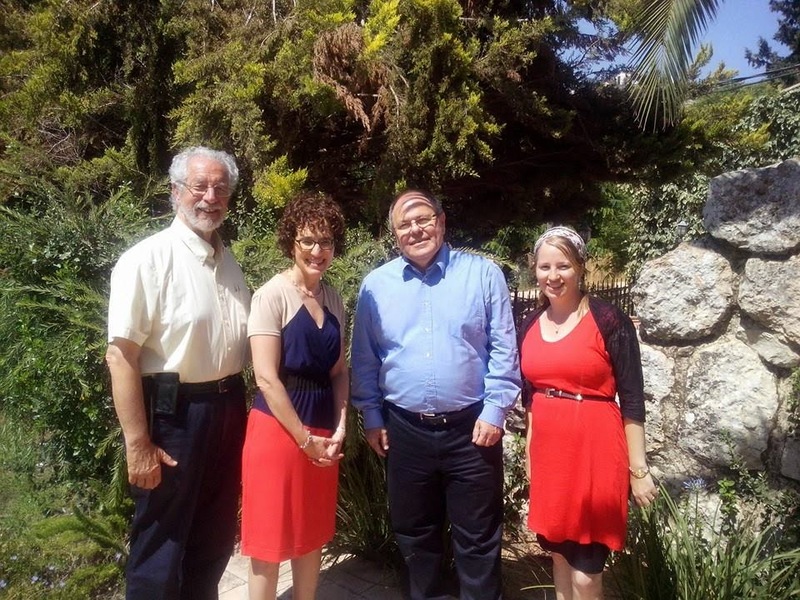 June 18, 2014, TORONTO ― Efforts by Canada’s Office of Religious Freedom to combat religious intolerance must be refocused on Jerusalem’s Temple Mount, according to B’nai Brith Canada. 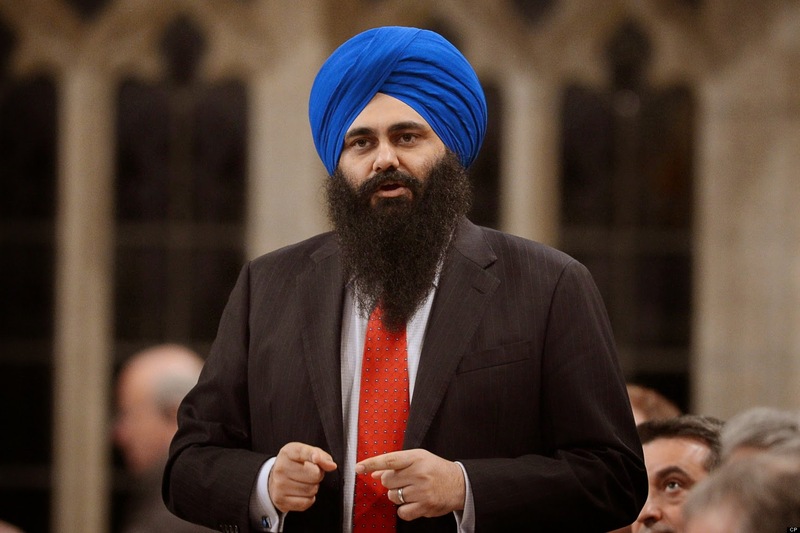 After recently visiting the site, Canadian Minister of State for Multiculturalism Tim Uppal [a Punjabi Sikh] expressed his belief that all visitors should be given an opportunity to explore the area and learn about its history and religious significance. The documentary film BODY AND SOUL - THE STATE OF THE JEWISH NATION's North American premiere is scheduled for Monday evening, October 27 at Symphony Space in NYC (Broadway at 95th). ...Headquartered in Geneva, the Office of the High Commissioner for Human Rights (OHCHR) is mandated to promote and protect the enjoyment and full realization, by all people, of all rights established in the UN Charter and in international human rights laws and treaties. The mandate includes preventing human rights violations, securing respect for all human rights, promoting international cooperation to protect human rights, coordinating related activities throughout the UN, and strengthening and streamlining the UN system in the field of human rights. 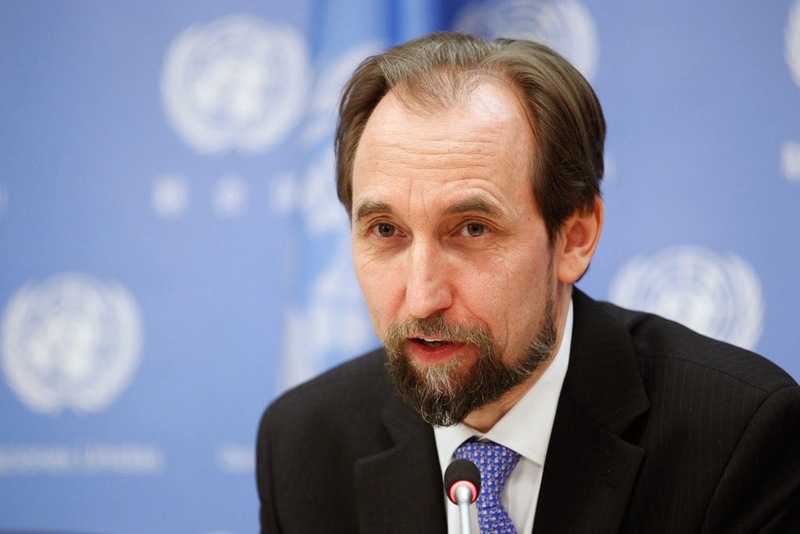 In addition to its mandated responsibilities, the Office leads efforts to integrate a human rights approach within all work carried out by UN agencies. 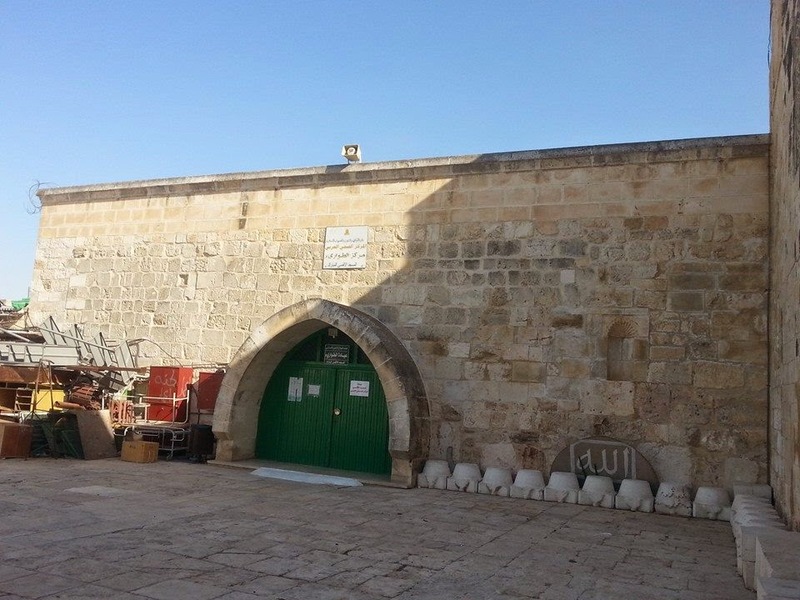 Meanwhile...Foreign Minister Nasser Judeh...said that the country has sent letters to the UN Security Council members, the UN secretary- general, and the EU, informing them about Israeli actions at the Al-Aksa Mosque on the Temple Mount. and UN Middle East Peace Envoy Robert Serry on Tuesday discussed challenges and obstacles facing the peace process...Judeh reaffirmed Jordan’s position in support of safeguarding Palestinians’ legitimate rights and establishing an independent Palestinian state. He said other regional events should not lead to losing focus on the central issue, which is the Palestinian cause. 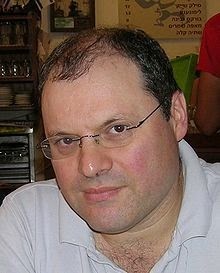 Judeh urged all influential parties to work toward ensuring the resumption of serious negotiations between the Palestinians and Israelis, adding that unless this is achieved, Israel will continue its unilateral actions in the occupied Palestinian lands including settlement construction, and violations against Jerusalem and will continue attempts to change the Arab and Islamic identity of the holy city. 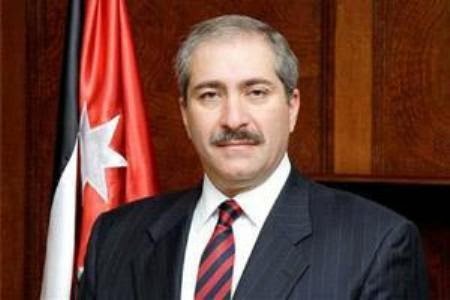 The minister said Jordan will not spare any effort to shoulder its responsibilities towards the Islamic and Christian holy sites in the occupied city based on the Hashemite custodianship of the holy places in the city. 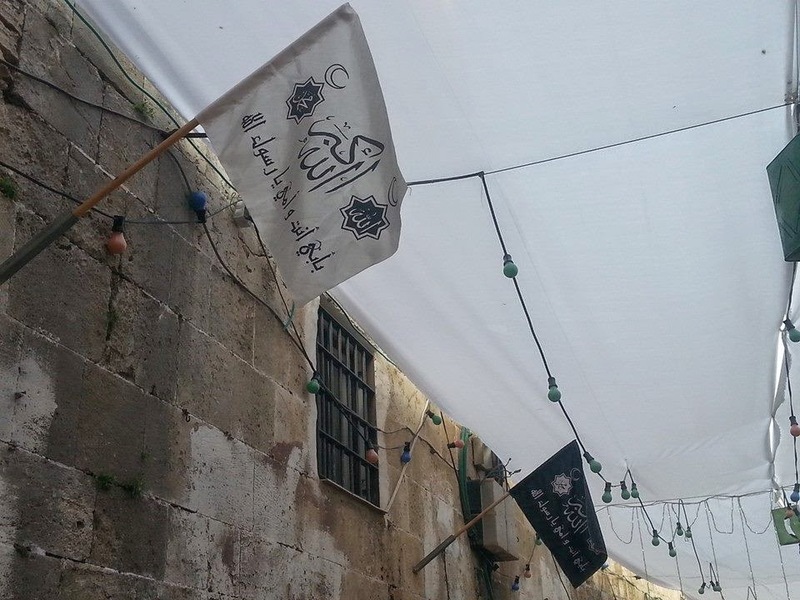 "Islamic and Christian holy sites in the occupied city"? Don't we Jews have human rights? 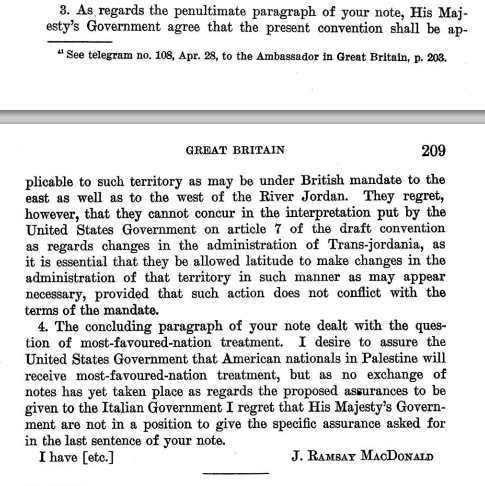 Subject to the provisions of the present convention the United States consents to the administration of Palestine by His Britannic Majesty, pursuant to the mandate recited above. The United States and its nationals shall have and enjoy all the rights and benefits secured under the terms of the mandate to members of the League of Nations and their nationals, notwithstanding the fact that the United States is not a member of the League of Nations. Vested American property rights in the mandated territory shall be respected and in no way impaired. Subject to the provisions of any local laws for the maintenance of public order and public morals, the nationals of the United States will be permitted freely to establish and maintain educational, philanthropic and religious institutions and the mandated territory, to receive voluntary applicants to teach in the English language. Nothing contained in the present convention shall be affected by any modification which may be made in terms of the mandate, as recited above, unless such modification shall have been assented to by the United States. ...In witness whereof, the undersigned have signed the present convention, and have thereunto affixed their seals. Done in duplicate at London, this 3rd day of December, 1924. You're an American? Demand full protection of your rights in that geographical area. We are no second-class citizens. The bodies of three Jewish youths kidnaped by an Arab band in 1938 were discovered today in a pit near the Arab village of Zila, in the Jenin sub-district. The youths were David Auerbach, 13; Itzhak Krupik, 18, and Jacob Zvang, 24. They were kidnaped on July 23, 1938, from the Jewish colony of Givath Ada. Identification was made through their clothes. Arab terrorist kidnappings have nothing to do with "settlements" or "tremping". Is Hamas a 'Militant' Group? 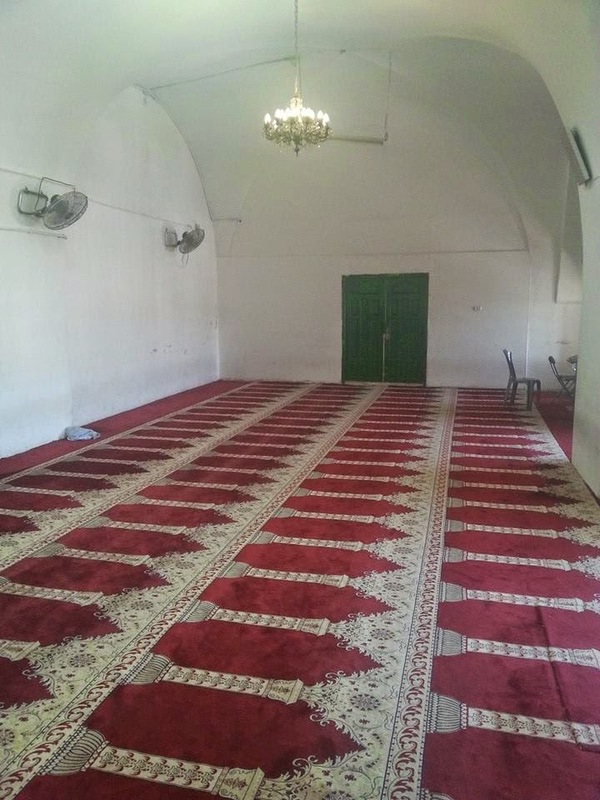 The Waqf Will Permit a Temple To Remain ? Will Peres Daven In the S'fard Nusach? JPost vs. Haaretz: Double or, ... Nothing?